"The Fastest 3/8 mile Race Track In America"! 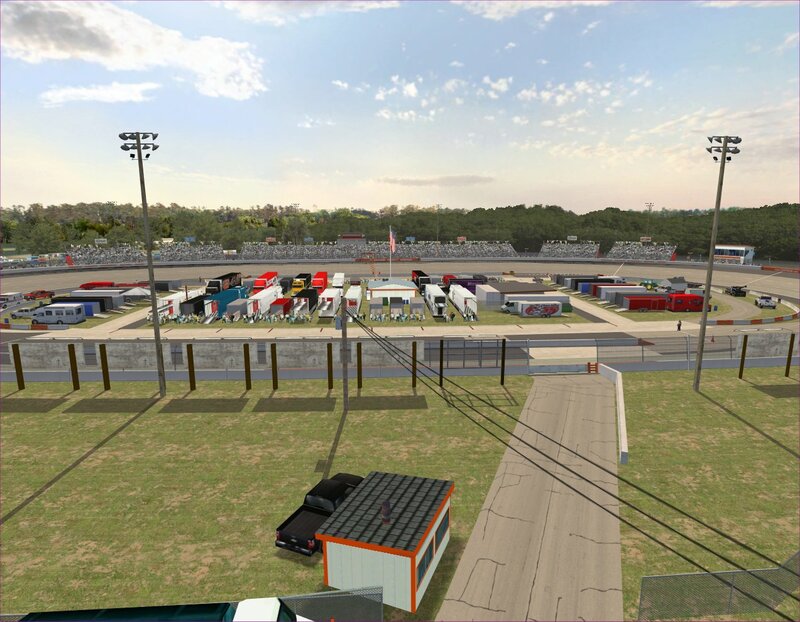 This time around, the Project: Short Track development team has gone to the deep South to recreate another one of America's most historic and popular short tracks, Orange County Speedway, Rougemont, NC. 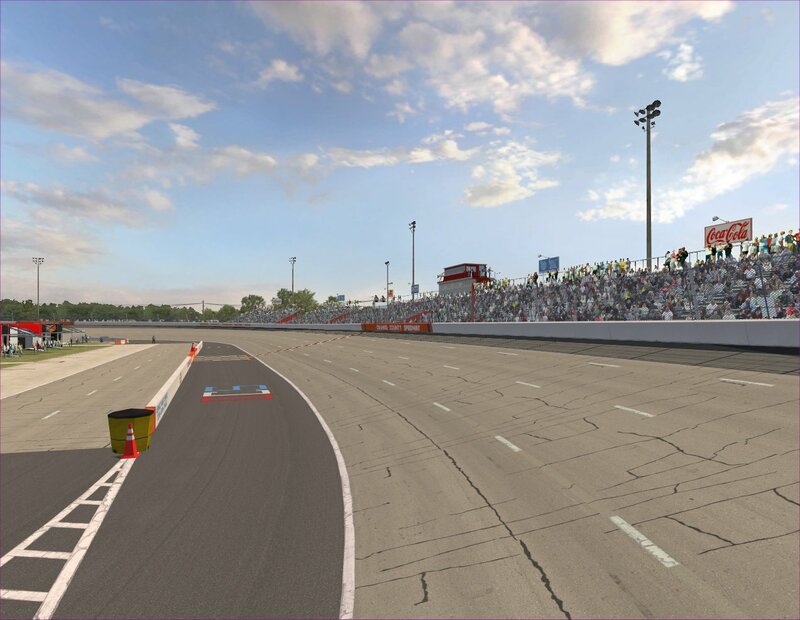 Touted as "The Fastest 3/8 mile Race Track In America", the high banks of OCS currently feature the ultra fast Super Late Models of The CARS and PASS Tours, the ground pounding open-wheel Tour-Type modifieds of the newly formed SMRS, as well as a robust card of weekly divisions. 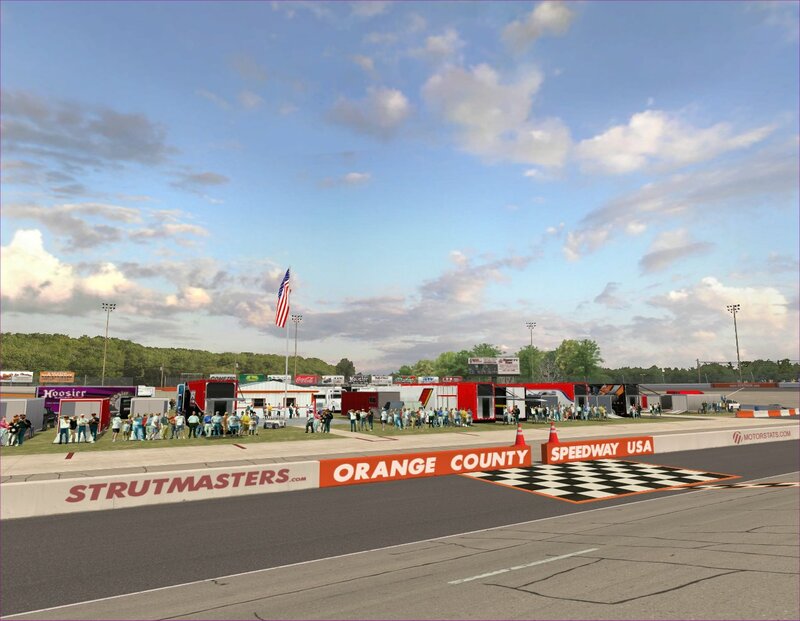 From an historical perspective, OCS hosted the NASCAR Busch Grandnational Series multiple times from 1983 through 1994. Iconic names from the NASCAR BGN record books, such as Jack Ingram, Tommy Houston, Larry Pearson are all multi-time winners there. Other famous names to grace the high banks of OCS include: Dale Earnhardt, Donnie and Davey Allison, Jeff Gordon, Dale Jarrett and a virtual Who's Who of American stock car racing. With the OCS project, the PST Development Team has once again pulled out all of the stops for detailing in NR2003. 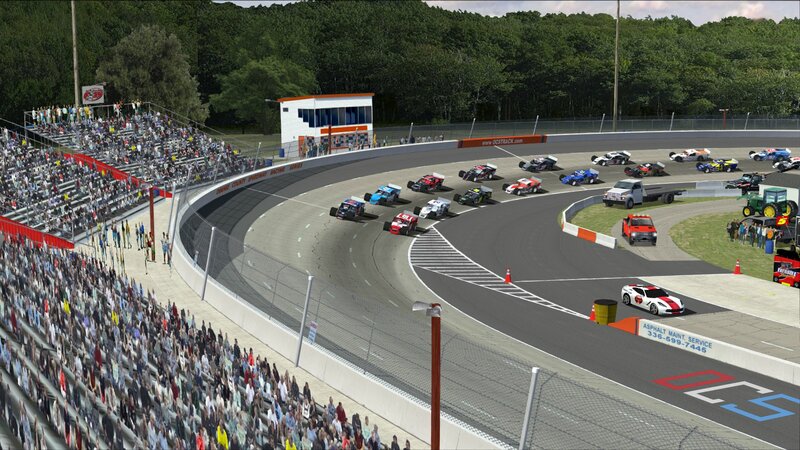 This all-new, built-from-scratch version of the track is an accurate 3/8 (0.375) mile asphalt oval with 19 degrees of banking in the corners, 16 degrees on the straightaways and infield pitting for 24 cars split between 2 separate pit roads - one on the frontstretch (qualifiers 1-12 ) and one on the backstretch (qualifiers 13-24). Like the real-life track, the preferred racing groove is about one lane up in the corners, but you'll find that you'll begin to "wash up" further to the outer-middle groove as your tires start to get worn. We've built-in 2 distinct racing grooves and the A.I. are precisely tuned for an exceptional and exhilarating side-by-side racing experience! To help you get started and up to speed quickly, we have included some neutral and stable base Fast setups, but with a little tweaking, we're sure that you can dial in a little looser setup to make outside passes a little easier. Like every project we release, there are very important notes in the README file about the A.I. 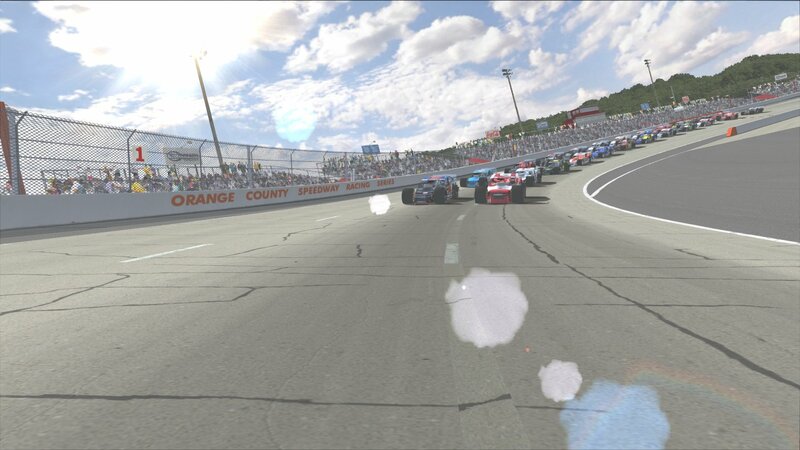 and how to get the best results when racing on the track in NR2003, so be sure to take the time to read through it. We also outline all of the various contributions people made in the creation of this track. 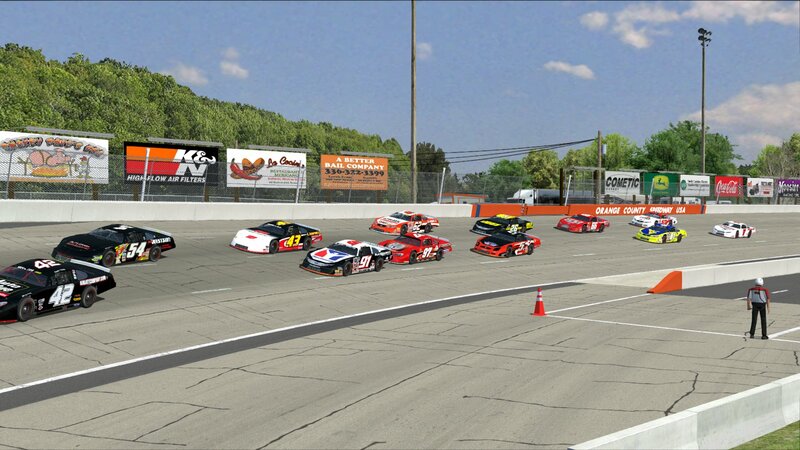 So.... with all of the formalities now out of the way, it's high time to get down to some high-banked short track racing... Southern Style! While you're busy doing that... we'll be off to work on a night version of the track and other popular short tracks to be released at a later date. Have fun and see you at the short tracks! frow78, thatguy, meinl20 and 5 others like this.